Morning arrival at Kochi International airport, meet and assist by our representative and drive to Munnar hill station (around 3 ½ to 4-hour drive). En-route you will stop at Cheeyapara waterfalls for a short break. 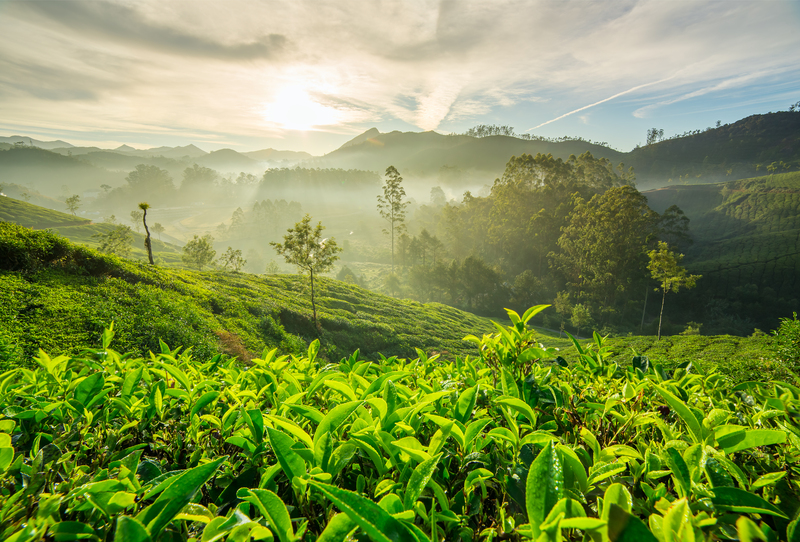 Munnar is arguably the ideal starting point for exploring the unfathomable diversity and beauty of Kerala, and it is a hill station – breathtakingly beautiful – a haven of peace and tranquillity – the idyllic tourist destination in God’s own country. Set at an altitude of 6000 ft. in Idukki district, Munnar was the favoured summer resort of the erstwhile British rulers in the colonial days. On arrival at Munnar check in to the hotel and rest of the time is free for Leisure. Early morning after breakfast proceed to visit the Tea Factory Museum, Mattupetty Dam, Eravikulam National Park, Echo point etc. Eravikulam National Park: A sanctuary for the endangered mountain goat of South India, the Nilgiri Tahr. The Eravikulam National Park stands out for the stark beauty of its rolling grasslands and sholas, spread over 97 sq km in the Rajamalai hills. Anamudi, the highest peak (2695 m) south of the Himalayas, towers over the sanctuary in majestic pride. The slopes of the hills abound in all kinds of rare flora and fauna. The Atlas moth, the largest of its kind in the world, is a unique inhabitant of the park. Other rare species of fauna found here are the Nilgiri Langur, the lion-tailed macaque, leopards, tigers, etc. If interested, you can do a speed boat ride in the artificial lake at Mattupetty Dam. Morning after breakfast, check out from the hotel and drive to Thekkady (around 3 hrs. drive). Thekkady, one of India’s major wildlife sanctuaries, sprawled over an area of 777sq.kms is rich in varied flora and fauna. It is one of the finest wildlife reserves in India and spread across the entire district are picturesque plantations of tea, cardamom, pepper, cloves and cinnamon in the High Ranges and hill towns that hold great opportunities for treks and mountain walks. On arrival, proceed to visit the Periyar Wildlife sanctuary. Enjoy a boating through the lake in Periyar Wildlife Sanctuary to see the wildlife in close range. Elephants, wild boar, bison are the main attraction here. Optional sightseeing – Plantation tour, Elephant ride, Jeep Safari etc. Early Morning after breakfast, check out from the hotel and drive to Alleppey (around 3 ½ hours’ drive). Around 1200 noon board a traditional Kerala houseboat from Alleppey and cruise along the serene backwaters. During the cruise, the countryside offers a close look into an engaging rustic life. You can see skilled fishermen launching their cockshell boats, large flotillas of ducks waddling down to the water from thatched houses on the banks, women neck-deep in water, with their waist-length hair heaped in a crown, searching for fish with their feet and aimless cattle grazing in lush pastureland, where white lotuses lie here and there in small, low-lying pools. The personal chef on the houseboat will prepare delicious Kerala style cuisine for you on board. Evening, cruise till 1700 hrs and the boat will be anchored in the lake for dinner and overnight stay. Afternoon proceed for a heritage walking tour with English speaking guide. You will visit the heritage area in Fort Kochi visiting Chinese fishing nets, Beach, St. Francis church etc. Afternoon free for shopping or independent activities. You can buy some interesting handicrafts/souvenirs for your friends and family. 19:30hrs and you will be transferred back to your hotel. Morning after breakfast, you will be transferred to Kochi International Airport to take your onward destination flight. For more information and tour booking please contact.